Subway's holiday gift card offer is back! 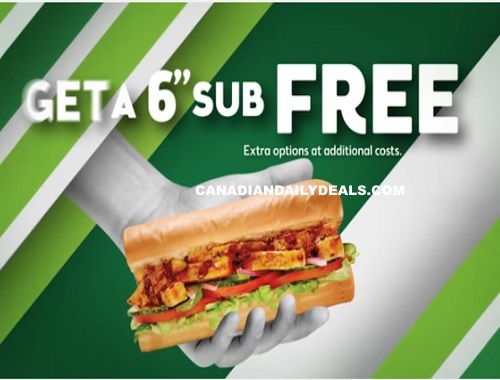 Get a Free 6 inch sub when you load $25 on your Subway gift card! Free sub excludes extras. Offer available only at Subway Cards bought or reloaded with increments of $5 between $25 and $50 or with $75 or $100. Offer is available for a limited time at participating location, ask the cashier before ordering if they have this offer..